Herman, Ricky, Edith, Bam Bam…. I grew up on TV. I liked it then and I still like it now. When we were kids, the shows were absolutely golden. From The Lucy Show all the way to The Carol Burnett Show and back again. 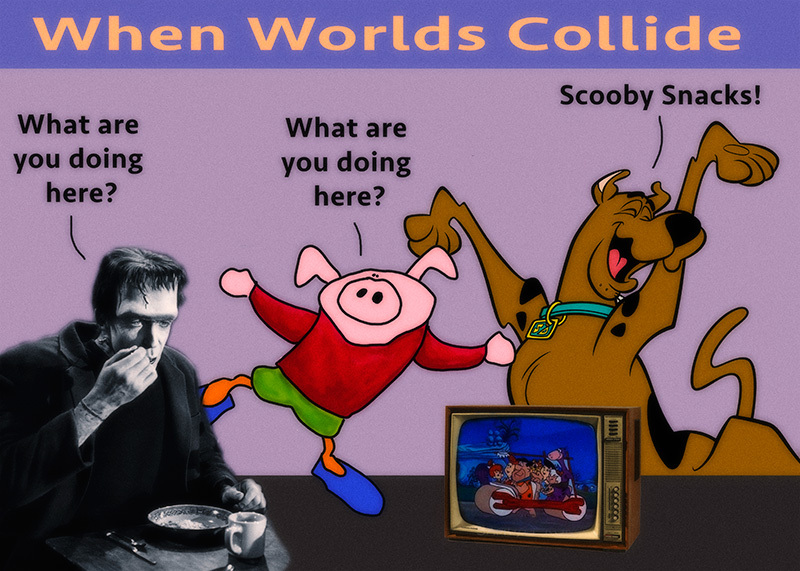 The Flintstones, Bewitched, Get Smart, The Munsters, All In The Family, My Three Sons, Scooby Doo… oh it goes on and on. We all have our very favorites, that is for sure. At any rate. We like what we like. My tastes have changed in both areas too. I used to really love comedies. Both in the movies and on TV. Now, I can barely stand to watch anything classified as a “comedy” on TV. They just aren’t funny to me. And in the movies… well… most of them have just gotten unfunny. At least, in my little head. These days, it seems I am all about tension. I like suspense, thrillers, mysteries… and the scary. Go figure. It might say something about my life space. But we won’t get all into my head tonight. The whole other genre that I never mentioned is The Game Show. Back in the day, there used to be a million good game shows. Of course, two of the biggies are still around. The Wheel and Jeopardy. But there used to be Hollywood Squares, Password, Guess My Line, $10,000 Pyramid, Family Feud, The Price is Right… and more. I could win the Wheel. I play Jeopardy well enough to be in my kitchen shouting out the questions at Alex. Not with the Brainiacs though. So all of this spawned me to do a survey here tonight. C’mon. Play along. A little Family Feud on the KW. Now if it were the REAL Family Feud, Richard Dawson would be getting all his swag on. Then he would kiss you. Fortunately, for YOU…. I am not Richard Dawson. And with that….